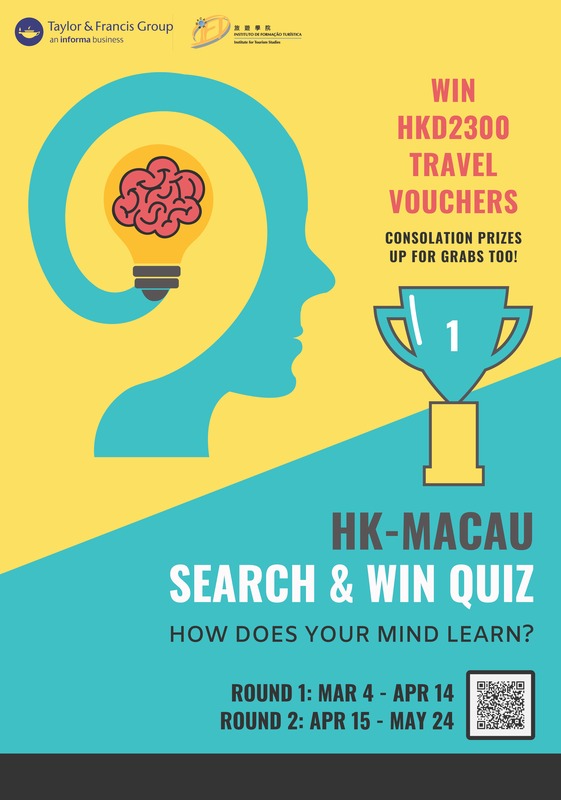 Taylor & Francis is organizing a quiz for all institutions in Hong Kong and Macau. The theme of the quiz is "How Does Your Mind Learn? ", comprising of 2 rounds, with 5 winners will be selected at the end of Round 2. Winners will be selected and contacted by 31st May 2019. *CHANCE* Additional 10 Bonus Points will be given to you per friend you invite after they have entered your unique code (email address) in Q12 of their response form and completed the quiz. Greetings from IFT Library! 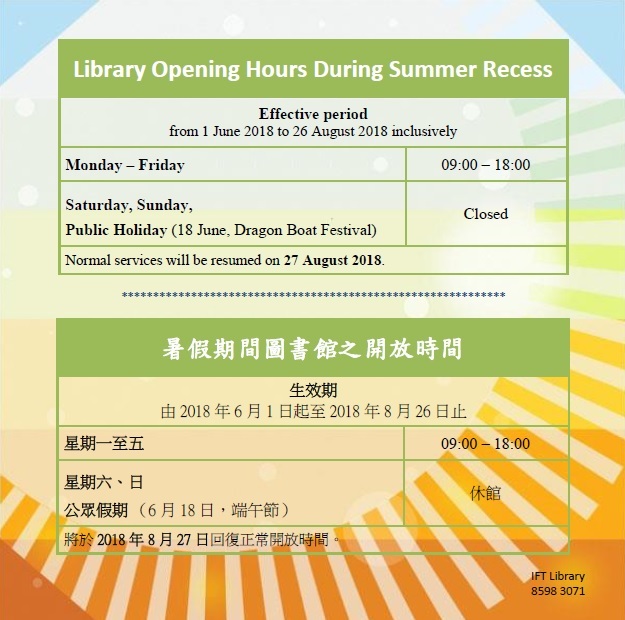 We are glad to let you know the opening hours of both Mong-Há Campus Library and Taipa Campus Library extend as follows. Welcome to visit us! ITT is going to upgrade the exproxy next Monday (29 Oct 2018). During this time, off campus access to our e-resources will be suspended, please kindly use our e-resources ON campus during that day. Thank you and sorry for inconvenience caused. Students are welcome to join either ONE of the sections. (contents are the same for all sections). Facilitators: Ms. Laurie Malungu/ Ms. Jessica Valoma Marques. Looking forward to seeing you in one of the upcoming sessions. Passport is a global market research database providing insight on industries, economies and consumers worldwide, helping users analyse market context and identify future trends impacting businesses globally. P.S. Users can gain access to the tabs “Industries”, “Consumers” & “Analytics”. You are welcome to use library facilities at both campus libraries during above period. 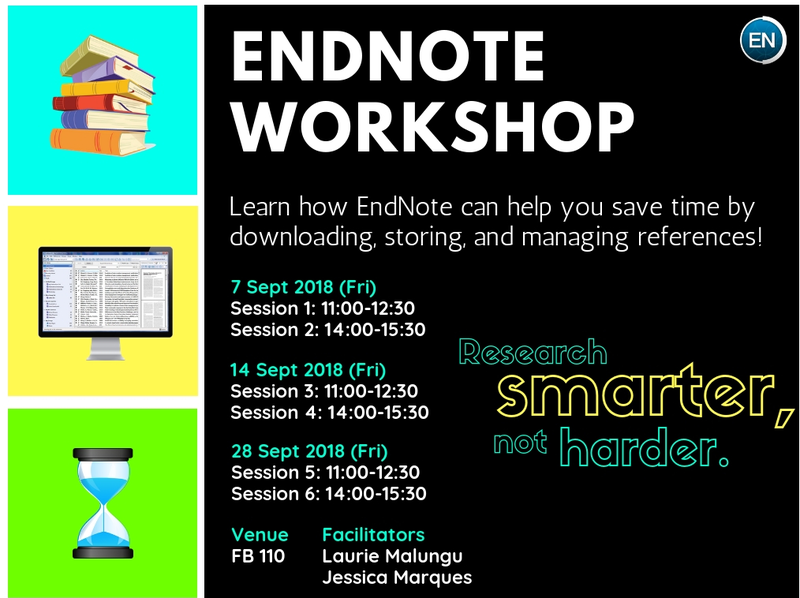 Endnote is the software tool for publishing and managing bibliographies, citations and references on the Windows and Macintosh desktop. All staff and students from IFT may install EndNote X8 on their personal computer for research purpose. Choose the operating system of your computer and login your ift account to download Endnote. 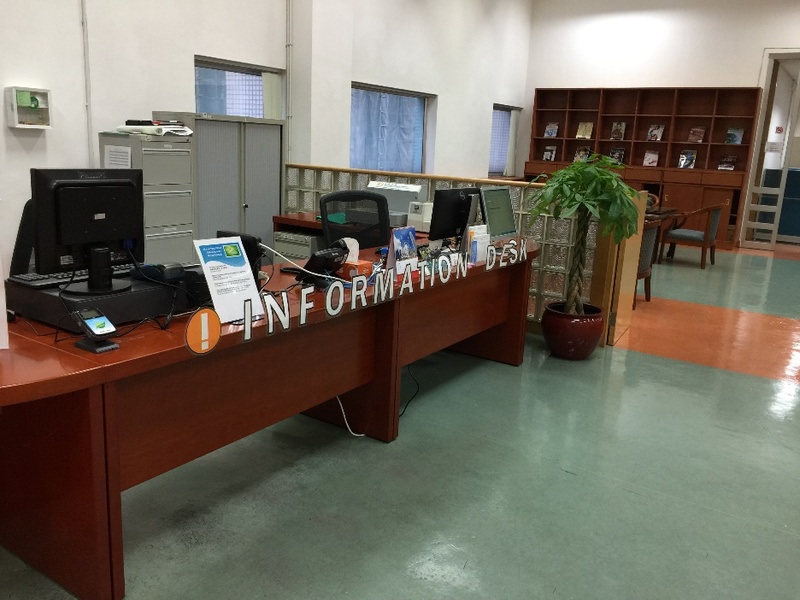 MACAUpass add-value service is available in Taipa Campus Library. • MACAUpass Add-Value service applies to IFT staff and students only. • Please prepare exact amount in MOP and no coins accepted. • The minimum add-value to MACAUpass is MOP50. Realizing the importance and benefit of cooperation among the academic libraries in Macau by pooling their resources together, the Tertiary Education Services Office of Macao Government (GAES), with coordination effort made by the Macao Library & Information Management Association (MLIMA), had proposed to the higher education institutions in Macau for their libraries to form an alliance. This alliance includes nine higher education institutions libraries in Macau. Its main task is to achieve the mutual cooperation, share their core resources and build up an effective communication platform, so as to attain a cost-benefit way on library acquisitions, resources development and sharing, inter-library loan and also administrative expenses. Macau Academic Library Alliance E-Resources Center is a virtual platform to house some commonly-used electronic databases, which are used by staff and students in these institutions in Macau. Staff and students in these higher education institutions in Macau can go to this website to have authorized access to all the electronic resources. 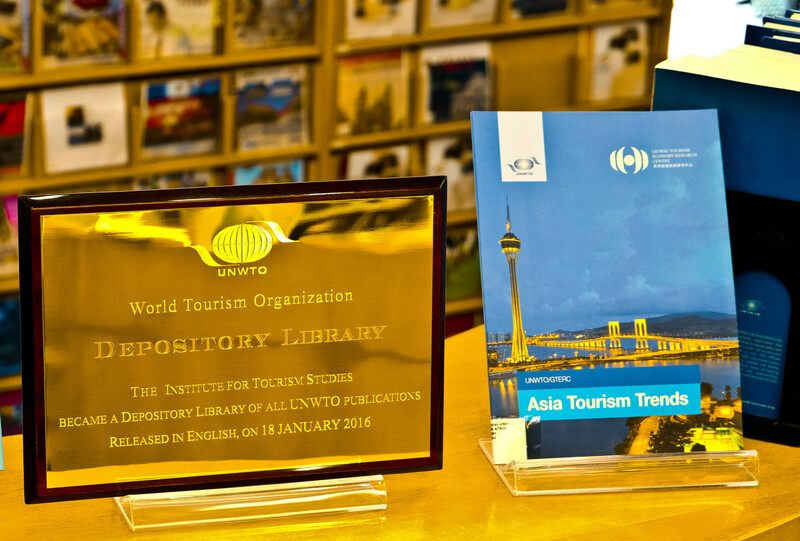 In January 2016, IFT Multimedia Library has become the first World Tourism Organization (UNWTO) Depository Library in Macao. Launched by UNWTO in 2003, the Depository Library programme aims to foster the access to the research analysis and reports which are published by UNWTO with public audience. Till now, there are approximately 60 libraries in 30 countries and regions having joined the programme and been included as the depository libraries, and IFT Multimedia Library has recently become the first one in Hong Kong and Macao. From 2016 onwards, IFT Multimedia Library will receive UNWTO’s all English official publications and make them accessible to the public, in order to provide more abundant and complete tourism related information and to support research in tourism related areas for Macao and neignbouring regions. In addition to IFT’s faculty and students, IFT Multimedia Library also welcomes those of other higher education institutions to borrow books and publications with the Macau Academic Library Alliance Card. Practitioner of Tourism and Hotel Industry are eligible to apply for an Industry Library Membership to borrow resources from the Library while scholars and researchers are also welcome to use the resources on site through application. Established in 1995, the Institute for Tourism Studies, Macao (IFT) offers the most extensive selection of tourism and hospitality related bachelor degree programmes in Macao, and about twenty thousand participants attend its vocational and professional training courses annually. IFT collaborates with 97 universities and tourism organisations around the world, and builds strong links with 500 leading tourism and hospitality corporations to offer internship opportunities to its students. Being the first institution accredited by the UNWTO.TedQual Certification System for tourism education, IFT has the most bachelor degree programmes certified under the System of any tertiary education establishment worldwide. IFT has received the Medal of Merit in Tourism from the Macao SAR Government, and won twice the Gold Award in ‘Education and Training’ from the Pacific Asia Travel Association (PATA).